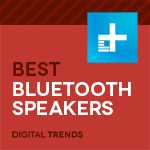 There are currently 100 billion Bluetooth speakers on the market. OK, fine, it only seems like there are 100 billion, but there are a lot of them. We’ll save you the time involved in looking at all of them: The Ultimate Ears Megaboom 3 is the best Bluetooth speaker. From sound quality, to ruggedness, to battery life, and extra features, there’s very little the Megaboom 3 doesn’t get absolutely right. Our team has reviewed no less than 170 Bluetooth speakers over the years, giving us hundreds — if not thousands — of hours of listening time. We’ve used them at home, at work, and in the great outdoors, which lets us confidently recommend the Ultimate Ears Megaboom 3 for most people. If it’s not right for you, we’ve also assembled a list of five superb alternatives. Each one stands out for a specific strength, which means one is likely perfect for your particular needs. Why should you buy this? It offers gorgeous looks, a slew of features, and best-in-class performance. Ultimate Ears has spent the better part of the last decade developing some of the best-sounding, sharpest-looking, and most rugged Bluetooth speakers on the market, and there is no product that better embodies this ethos that its Megaboom 3, which is easily the best portable Bluetooth speaker we’ve ever tested. Perhaps the most impressive feature of the Megaboom 3 is just how life-proof it is. It’s got a specially designed fabric that can take a licking while still looking sharp, and is waterproof and dustproof, even being able to be submerged in water up to three feet. All that, plus it’s got up to 20 hours of battery life for extended listening on the go. The Megaboom 3 projects sound all around it, easily filling your space with your favorite tunes. With vibrant highs and authoritative bass, it even competes with many non-portable options when it comes to fidelity. If you are looking for a new swiss army knife of sound to take with you anywhere, this is the best you’ll find. Why should you buy this? It’s cheap, water resistant, and sounds great. Who’s it for? Those in need of a speaker that’s cheap, compact, and worry-free. If you’re not trying to get audiophile-grade sound, be able to throw your speaker straight into the pool, or tap into your savings account to bring your favorite tunes with you on the go, the Oontz Angle is the speaker for you. One of the most popular audio items on Amazon, the Angle came to our attention when we were looking for a cheap speaker to take with us into the bathroom while we showered. With good bass response, a water-resistant design, and up to 14 hours of battery life, this cheap little speaker offers insane value at its low price. Bluetooth 4.2 onboard means that you’ll get up to 100 feet of range, and the Angle even has a 3.5 mm AUX port, should you want to plug into it. As far as we’re concerned, it’s a no-brainer: This speaker is the best affordable option you’ll find. Why should you buy this? It offers excellent stereophonic sound, multiroom functionality, and support for high-resolution audio playback. Who’s it for? Those willing to shell out a little extra dough for exquisite performance. Hey, we told you Riva would be in pole position. In June 2017, the company debuted its WAND (Wireless Audio Network Design) line of speakers, comprising the $250 Arena — more on that later — and the $500 Festival. WAND is a wireless protocol which connects multiple speakers across large spaces or in separate rooms, similar to Sonos’ proprietary system or JBL’s Connect Plus. The Festival boasts just about every connectivity feature under the sun. Along with Bluetooth, the speaker can connect over Wi-Fi, including AirPlay, DLNA, and DDMS. The Festival supports several direct streaming options as well, including Spotify Connect, plus it’s Google Cast-ready for instant streaming from multiple apps. All that aside, the real reason you’ll want to consider the Riva Festival is its audio performance. Packed with seven ADX drivers powered by 200 watts, six-channel amplification with advanced digital signal processing (DSP), and a total of four passive radiators, it produces sound as clear, crisp, and powerful as you’ll hear from a wireless speaker in this price range. Riva’s ADX Trillium stereophonic DSP system manages to project music across a wide soundstage with effortless clarity, and the Festival is built to handle pretty much any audio codec you can think of — even hi-res codecs like FLAC and AAC. When it comes to design, the Festival is a bit on the boring side (especially considering its name), but that’s a minor complaint, and a trait that many will appreciate. We’ll give a shout-out to Bowers & Wilkins’ T7, the Mass Fidelity Core, and the Marshall Stanmore II Voice, but they just can’t beat the Festival. Why should you buy this? It offers decent sound in a rugged, portable package at a great price. Who’s it for? Those who want versatility and serious durability on a budget. When it comes to wireless audio, durability is a big factor for those always on the move. After all, taking your sound everywhere is kind of the big seller for Bluetooth. JBL’s Flip 4 fits that bill, and it’s more than just another run-of-the-mill waterproof option. It’s got enough mettle to be put it in the conversation with any speaker on our list, and at an excellent price to boot. With a fun, (or possibly frustrating) ability to be linked to two phones simultaneously, the Flip 4 is waterproofed with an IPX7 rating, meaning you can submerge the speaker in a meter of water for up to 30 minutes. Battery life, while not massive at 12 hours, is still plenty for an entire day’s worth of tunes. As for performance, at this price, you certainly won’t be getting audiophile-grade acoustics. But it gets plenty loud, and manages to do so without overpowering either the low or high ends, which is saying something. All of that for a speaker in sub-$100 territory makes the Flip 4 a very solid choice. Why should you buy this? Inch for inch, it’s the smallest speaker you can find that still produces decent sound. Who’s it for? Those who value portability, but aren’t willing to sacrifice sound quality or the ability to survive a bit of abuse. Mini Bluetooth speakers often suffer from terrible audio quality and volume levels that simply can’t keep up with their larger cousins. The Ultimate Ears Wonderboom defies this tendency, and does it in a fully floating, waterproof package. While its bass performance can’t quite match that of the JBL Flip 4, it’s shockingly good considering its diminutive size. Ultimate Ears speakers are known for being minimalist in design, and the Wonderboom is no exception. With only two buttons — for volume up/down — there isn’t even a visible battery life indicator (instead you get an audio prompt with three different tones). Still, it’s hard to find fault with that considering the sound, the ruggedness, the size, and mostly the price of the Wonderboom. You should be able to find it for less than $75. Why should you buy this? It performs incredibly well for its size (and price), and boasts Amazon Alexa, Spotify Connect, and Apple Airplay on-board. Who’s it for? Those who want to connect speakers throughout the house. With gorgeous sound, a small footprint, and Amazon Alexa built-in, the Riva Concert goes head-to-head with our previous favorite smart speaker, the Sonos: One. But unlike the Sonos model, this Riva option also offers Bluetooth connectivity, making it the best all-in-one listening solution out there. First and foremost, it’s that the Concert offers true stereophonic sound — something the compact Sonos speaker doesn’t offer. This means wide stereo image and a beautiful soundstage, allowing the speaker to reproduce your favorite tunes with ease. The splash-proof Riva Concert also features the option to add-on an external battery for up to 15 hours of portable use — meaning it can be a great addition to any cookout, beach trip, or backyard barbecue away from home. The Concert is extremely easy to set up via the company’s Riva app, making it an absolute no-brainer regardless of which of the most popular streaming services you use. We test Bluetooth speakers the way normal people live. We run every speaker through a rigorous process over the course of several days. That includes playing them in all sorts of scenarios, be it in the park or at the beach (for portables), in the listening room, or at the office, and playing back from our device library and streaming services like Spotify. We also test range, connection stability, and interference in areas with a lot of radio frequency interference (i.e. the Digital Trends offices). Finally, we compare each speaker to some of our go-to models, both in their class and price point, as well as a level or two above to find out if they can punch above their weight. NFC — Shorthand for Near Field Communication, this oft-touted feature is actually quite limited when it comes to Bluetooth speakers, allowing select phones (i.e. those not made by Apple), to pair with a speaker with a quick touch. Since pairing is often as simple as pressing a button, and speakers will be remembered by your device once paired, it’s not seen as a must-have feature. AptX — Another feature limited to phones and devices outside of Apple’s periphery, AptX is a codec (or group of codecs) said to allow Bluetooth streaming at “near CD quality” resolution. Apple products do not use AptX, but Android users may find it improves performance when paired with high-quality tracks and high-performance speakers. AptX HD is the latest and greatest version of this codec, but both source device and Bluetooth speaker must support it for you to get any benefit. Passive radiator — A passive radiator is a type of driver used to enhance bass in a speaker. In a sealed speaker enclosure (no portholes) a passive radiator responds to fluctuations in air pressure within the enclosure, creating sound. Since a passive radiator doesn’t have to be powered by an amp, it has no magnet or voice coil, and is therefore lighter and smaller than a traditional driver. This saves space and cost while increasing the speaker’s performance. Pairing (or Bluetooth pairing) — In the case of Bluetooth speakers, pairing is the act of making a wireless connection from a speaker to your wireless device via Bluetooth. Sonos — Sonos is an audio manufacturer best known for its line of smart Wi-Fi speakers, which create a peer-to-peer mesh network that allows speakers to connect with each other and synchronize playback. Unlike choices from our list, though, they do not incorporate Bluetooth.